The power of asking “What If” to trigger innovative projects. It happened in a hair salon in Pamplona, Spain. Soon after spending a considerable amount of money in a sound system for the salon, the owners realised they had just thrown away the money. Right after the hair dryers switched on, the music drowned into the motor sound. The lack of technical knowledge allowed them to propose an idea that a mechanical engineer would have never considered. This gave birth to a design opportunity that triggered an innovative project. Eight years after this “crazy” idea the first functional prototype was installed in a professional salon. RELYING ONLY IN TECHNOLOGY IS TOO RISKY. When we stepped into the project in charge of the design and development of the product, we rapidly jumped out from computer into the field and conducted a deep research. Involving the users we soon discovered that even if the noise was relevant, weight was the cause of 85% of professionals suffering at least one sick leave during their careers. On field research is truly valuable to validate or dismiss initial hypothesis. Here we took apart the project assumption that most salons sit their clients in a row and count with an adjacent room where to hide the big centrifugal fan included in the proposed solution. The product requirements shifted from focusing only on noise emission to also weight and new extra features required by the users. Furthermore, the variety of salons distributions nullified the initial “air conditioning “system concept. Designing a custom installation for each company would have been unaffordable. All this new key insights pointed towards pivoting from the initial “system” idea to a mono hair dryer solution. The Multifunctional Workstation is the result of identifying a problem with an existing product, being able to listen to the different stakeholders and users and finally balance all aspects into an innovative product design. 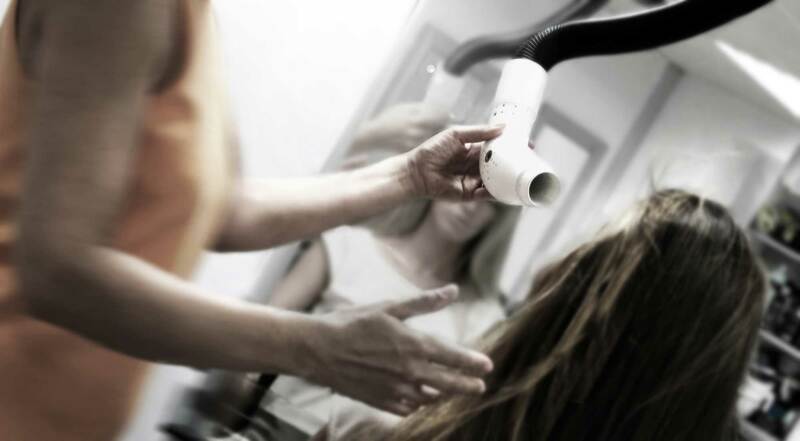 Noise Emission: This new product architecture allowed to isolate the motor on the main body reducing emitted decibels up to 16 dB; in benefit of both the hairdresser and the client. The saloon becomes a much more peaceful and relaxed environment. 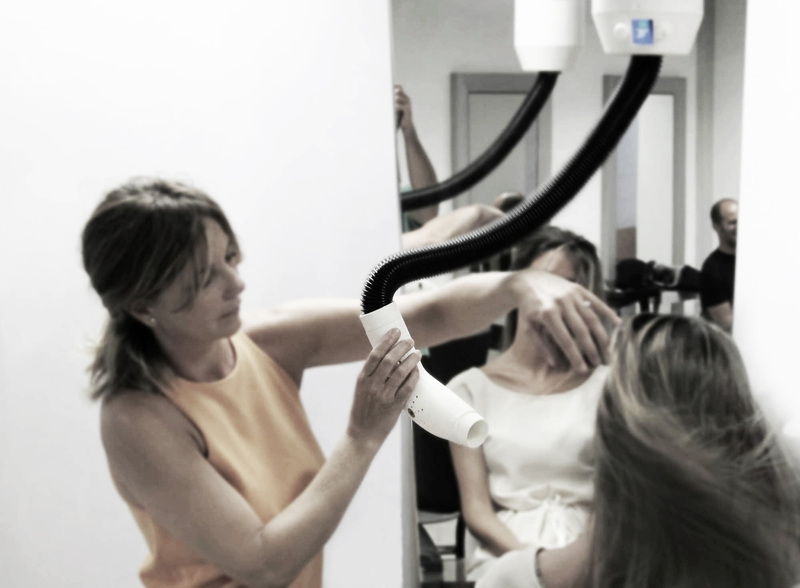 Weight: Hairdressers ranked product weight as the main feature to be improved in existing hair dryers. Our design has virtually “zero” weight because all major components are placed in the main body that hangs from the ceiling. Its use becomes extremely natural. Performance: Existing drying solutions internal components suffer a lot due to its restricted dimensions. We employed a bigger turbine that propels about X4 times more airflow than the best hair dryers in the market. Reliability: Both the fan and the resistor are overdimensioned and guarantee a long lasting life and performance. Nowadays professional hair dryers have an average life of 1,5 years due to the lack of maintenance and short component’s lifespan.